1 | Be present - I wanted to be present with my family and friends during the holidays, free of distractions and a list of goals I wanted to complete. It was so nice to relax, go on vacation, take a week off of blogging over the week of Christmas, and just be with people. 2 | Work out at least four days a week - Okay, so this one isn't really just a one-month goal type of thing...it's an all year long goal. :) Sitting for eight hours a day at work each day is basically the worst thing in the world for my heart. I've always been a very active person, but post-college me found it really hard to make time for consistent exercise. I'm making it a priority to work out because my heart and my body need it to be strong and healthy! 3 | Complete five more chapters in Blog Life - Guys, at some point I will actually finish the incredible Blog Life course from A Beautiful Mess. I am the turtle in this race. Hopefully in taking my time, I will glean more from the course and be able to put it all to good use! i have the Duolingo app but haven't even used it yet! i've got to make that happen! i may join you on this one hahaha. i can't wait to hear what all you learn from that coarse! Best of luck on your goals. I started Duolingo and did it for like two days...I need to pick that back up. Yay for Spanish! and working out! and bloglife! Amazingly enough we were able to workout over the holidays but since we have been home we haven't and it's been sad. And it probably won't happen until our living room is empty. I really love Duolingo! I want to do it for Spanish since I have quite a strong Spanish background that is getting neglected. You have inspired me! I love Duolingo. You might also try memrise if you're looking to build your vocabulary back up or for some review. I love Duolingo! It's extremely helpful. 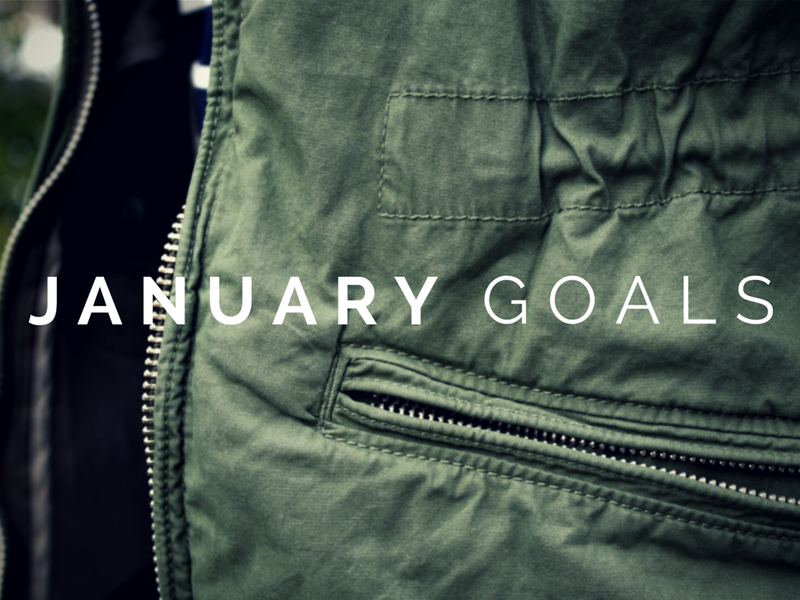 You've got some great goals. You can do it! 1. Duolingo. Yes, it is fun too! 2. Blog life - good idea. I want to get (soon) their photography course! I love duolingo! I'm trying to pick up French. I learned it in highschool. And amen to the exercising! Post college life was rough on my body. But I finally have a system going. So fun! Seriously, Duolingo has been great. I am still trying to get into a regular exercise schedule...it is so hard! Ooooh the photography course! That sounds awesome...I may look into that once I'm finished with Blog Life. Haha! I do that with a lot of goals...they get neglected far too often. Do Duolingo! We can be Duolingo buddies!